News Are Simon Cowell and Paula Abdul Returning for American Idol's Final Season? All over the new Internet these past few weeks, there have been many articles analyzing "what is wrong with American Idol?" Although still profitable, the show has lost its cachet and impact, along with it status as ratings juggernaut. One might have thought a few years ago that it didn't matter who the judges were or what kind of contestants populated the staged, but the last several painful years has shown this to be far from true. There have been possible solutions batted about but I have not seen the one answer that I believe to be the one. Keywords: television, reality, competition, fox, jennifer lopez, keith urban, harry connick, jr.
Keywords: television, fox, american idol, jennifer lopez, keith urban, harry connick jr. 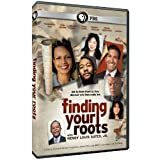 In each hour-long episode, he takes viewers along for the journey with two or three celebrity guests who are connected to one another by an intimate, sometimes hidden link, treks through layers of ancestral history, uncovers secrets and surprises in their family trees and shares life-altering discoveries.